Go NY fi a likkle bit and come back thinking everything okay. When mi look $700 tried to go through on my credit card but got declined. Reason being I had decreased the limit after shopping. Good thing mi follow mi mind an do it because that’s why the purchase got declined. Called MasterCard and dem tell mi someone copied my card number and attempted to use it at Toys R Us in Bronx. These ppl wicked and need fi look gainful employment. You’re hurting innocent people!! So post in case the scammer a read yuh site because mi deh home a laugh at how dem haffi lef everyting same place. I can only imagine what other victims who weren’t as lucky have to go through. 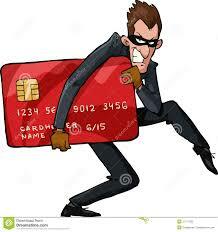 Stop tief people credit card and ruin dem credit. Go look work or live within your means!!!! Unfortunately the sender don’t know who it is and so sj=he cannot report anyone. Fortunate for her she lowered her limit before they were able to do any damage! That’s there starting point Metty, the Scammers that I know of in the BX will go there to test the limit on electronics! They are more than brite!! @Yep…..Gracias, you know how it goes sometimes……their. @Yep…..Gracias, you know how it goes sometimes……their. Met, you need a big cuff eena u neck back enuh. U nuh know dem a buy up dem tings fi sell fiddi Chrismuss shopping season. A dem seh munts in advance. Den a who else, Mums. Is di store clerks and dem confederate working togedda fi get your ting, sometimes all di store owners too depending how low rent di place is. Also, if you have a pin chip card you must shield the number pad when you imputing u pin. “U decrease the limit after shopping”….sender please!…..just talk say a $500 a I limit cause your credit is poor or building! even if the sh*T was a hundred dollars……they tried it!!! There way of thinking Baffles me, always looking to downgrade the victim and take the shine off th villain! Damn Quena!! Why yuh suh hard ears?? I said the correct term is “their” and not “there”…sheesh!!! play u and quena a play right? @Yeppie……THEIR, there, dear….. mi tink mi hab it now! Teef ah teef, wedda di person credit limit ah $500 or $15.. They max out my card within 15 minutes. The card had a zero balance and was going to Jamaica for a visit. Got to Jamaica and went to rent a car and the card was declined by the car rental company. I told them that it was impossible, since the card had no balance and a credit limit of $10K. Had to use another card which did not have auto insurance coverage. Got to the Hotel and call the credit card company, only to be told that the card had reached its maximum limit and all the charges were made within a 15-minute time frame. The charges were made from a location I have never been to. They eventually cancelled the card and removed the charges after a lengthy investigation. Scammers reportedly obtained an estimated 30 credit cards which were used to buy Smirnoff Dream Weekend season tickets valued at millions of dollars. The case was referred to detectives from the department, who immediately initiated investigations to determine who exactly is behind the scam and where they obtained the credit cards that were used in the attempted fraud that was discovered on July 30, a day before the week-long series of parties kicked off in Negril. Detectives are said to be collating notes from the investigation that was launched on several fronts during the course of the weekend. Information reaching the WEEKEND STAR was that the ticketing company and the National Commercial Bank Fraud Department discovered the fraud on July 30. The fraud was detected, sources said, after irregular card activities and the promoters were notified.